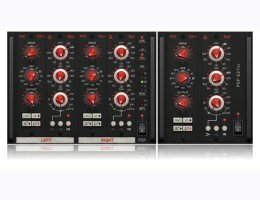 PSP E27 is a multistage equalizer plug-in (VST3, VST, AAX and RTAS for Windows; AudioUnit, VST3, VST, AAX and RTAS for Mac OSX) modeled after the analog equalizer E27 produced by Avedis Audio Electronics. E27 offers three-band equalization with nine selectable frequencies in a standard 500x package. This equalizer offers +/-16dB of boost/cut at musically selected frequency ranges, and offers gentle saturation. Low and high filters can work in bell or shelf mode with a single click. E27 is suitable for both mixing and mastering. PSP E27 offers additional preamp stage for global level control. This EQ plug-in catches nonlinear behavior of analog devices.